The Israel Tourism Ministry has announced the launch of #PopUpOasis, a social media competition that offers the winner a custom-made glamping experience in Israel’s Negev desert. The Israel Tourism Ministry has announced the launch of #PopUpOasis, a two-week social media competition that offers the winner a custom-made glamping experience in the Ramon Crater as part of a three-day hosted vacation in Israel’s Negev desert. The NIS 3 million campaign, which will run through March 22, in Germany, Italy, Poland, Spain, Sweden and Finland, launches a new Tourism Ministry marketing campaign under the slogan Negev: Pure Desert Magic. 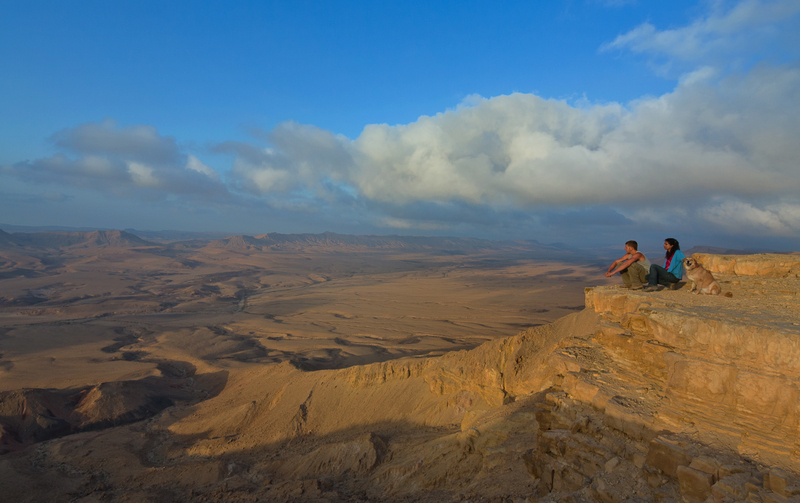 The campaign is part of a strategic plan to grow the Negev’s share of tourist visits from the current 5% of all tourists to 20% within 2-3 years and the number of rooms from 2,000 to about 5,000 within 6-7 years. In addition, the ministry is investing in improving tourist infrastructure in the region particularly for the independent traveler (FITs), including tourist attractions, hiking and biking trails and more. Competition participants are asked to share and comment on the post. The winning posts will be judged on their content and social media reach. Five #PopUpOasis competition winners and their partners will win a three-day Negev vacation, including flights, as guests of the Tourism Ministry. The highlight of the short desert break will be one night of “glamping” (luxury camping in stunning natural scenery) in a specially-erected #PopUpOasis in the Ramon Crater, complete with desert-inspired gourmet food and site-specific sports and leisure activities. The construction of the unique #PopUpOasis, which will be documented by the Tourism Ministry, and key opinion leaders, journalists and celebrities from the relevant countries will be hosted overnight at the #PopUpOasis. The five competition winners will arrive in Israel during the month of April as guests of the Tourism Ministry. The winners’ itinerary includes, among others, hiking, biking and rappelling in the Ramon Crater, star-gazing in the desert and visits to Timna Park, Kibbutz Ketura, Ein Avdat and Sde Boker. The winners will also lodge in typical desert accommodation at Kibbutz Elifaz and at the iBex Hotel, Mitzpe Ramon. The Negev will join the other sub-brands of Tel Aviv, Jerusalem and Eilat that are promoted by the Tourism Ministry to European markets. The Negev offers young independent travelers and families a relatively inexpensive winter break from the harsh European winter, just a short flight away. Thanks to the huge increase in low-cost flights into Ovdah, European tourists can now enjoy the attractions of a winter desert break with warm sunny days, the serenity of the desert, hiking and biking along the Israel Trail and the Israel Bike Trail, active tourism, culture and heritage alongside unique accommodation options. Information on the Negev can be found on the Tourism Ministry website: https://new.goisrael.com/area/negev and maps and brochures are now available in English and German.